PT Elnusa Tbk - Elnusa is a well established public-listed upstream oil and gas services company in Indonesia. Elnusa provides various Geoscience services, Drilling and Oilfield Services. The Company was formed on 25 January 1969 and originally registered as PT Electronika Nusantara. The name PT Elnusa was launched on 9 September 1969. In February 2008, Elnusa conducted its initial public offering (IPO) on the Indonesia Stock Exchange (IDX) and its shares are traded on IDX under stock code ELSA. 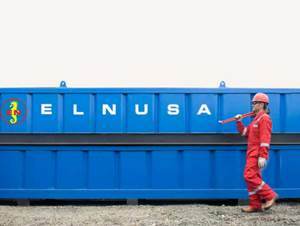 At present, the national oil company of Indonesia PT Pertamina (Persero) holds 41.10% ownership of Elnusa’s shares. The remaining 58.90% interest in Elnusa is owned by Pertamina Pension Fun, and Public, 43.86%. Elnusa is headquartered in Jakarta and now has 8 subsidiary/affiliated companies; PT Elnusa Geosains Indonesia, PT Elnusa Oilfield Services, PT Patra Nusa Data, PT Sigma Cipta Utama, PT Elnusa Fabrikasi Konstruksi, PT Elnusa Trans Samudera, PT Elnusa Petrofin, and PT Elnusa Patra Ritel. Statement of financial position of Elnusa in the first half of 2016 (1H 2016, ended in 30 June 2016) showed a good performance. According to Elnusa Financial Report Audit June 2016 as cited by JobsCDC.com, Elnusa recorded total comprehensive income for the period of Rp 145.87 billion in the first half of 2016. This figures up 8.10% from Rp 134.93 billion from the same period last year. Minimum 1 year of experience in the related field, preferably staff specializing in Finance - Audit/Taxation or equivalent. Fresh Graduate are welcome to apply. Have basic finance knowledge will be an advantage. High motivated with spirit to learn now things. Minimum Bachelor Degree (S1) in Computer Science, Information Technology or equivalent. Minimum 1 year of experience in the related field, preferably staff specializing in IT/Computer - Software or equivalent. Have a good skills in HTML, Java Script, PHP and CSS. Have a good skills in Version Control System/GIT, Linux, Nodejs, Mobile Development will be an advantages. JobsCDC.com now available on android device. Download now on Google Play here. Please be aware of recruitment fraud. The entire stage of this selection process is free of charge. PT Elnusa Tbk - Recruitment Fresh Graduate, Experienced Staff Elnusa October 2016 will never ask for fees or upfront payments for any purposes during the recruitment process such as transportation and accommodation.